Israel’s 69th birthday and 50 years of the reunification of Jerusalem. New York, NY — June 3, 2017 … The Celebrate Israel Parade, the world’s largest Jewish event, will take place from 11 a.m. to 4 p.m. on New York’s 5th Avenue. The gala parade will consist of 40,000 marchers from more than 250 organizations, hundreds of thousands of spectators, 15 world-class marching bands and more than 30 floats. Dignitaries will include: New York Governor Andrew Cuomo; New York Mayor Bill de Blasio; New York State Comptroller Tom DiNapoli; New York City Public Advocate Letitia James; New York City Comptroller Scott Stringer; City Council Speaker Melissa Mark-Viverito and Members of the City Council; U.S. Representatives, Carolyn Maloney, Jerrold Nadler, and Kathleen Rice; Senators Leroy Comrie and John Flanagan; Consul General of Israel in New York Ambassador Dani Dayan; Permanent Representative to the United Nations Danny Danon; Israeli Knesset Members Avi Dichter (Likud), Dr. Anat Berko (Likud), Eyal Ben-Reuven (Zionist Camp), Ofer Shelah (Yesh Atid), Yoav Kisch (Likud), Elazar Stern (Yesh Atid), David Bitan (Likud) and Stav Shafir, (Zionist Camp). Grand Marshal Rabbi Haskel Lookstein and Honorary Grand Marshals, including former New York Giants running back Tiki Barber, celebrity chef and Jewish lifestyle expert Jamie Geller, mixed martial arts (MMA) fighter Haim Gozali, and the Mayor of Jersalem Nir Barkat will lead the parade. Also marching in this year’s parade will be members of the Maccabi USA team set to compete in the 20th World Maccabiah Games in July who will also be joined by US swimming gold medalist Lenny Krayzelburg and Israeli judoka bronze medalist Arik Ze’evi. 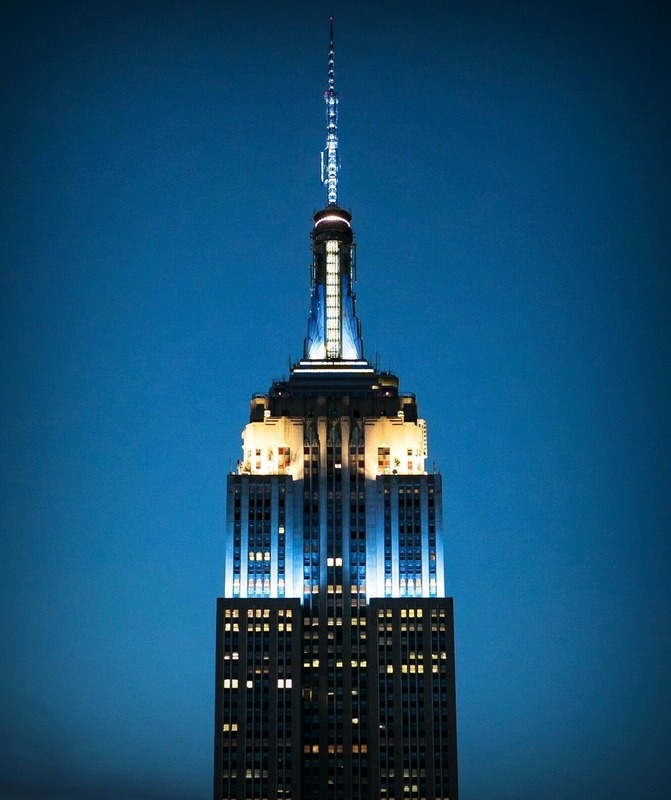 In honor of the Celebrate Israel Parade and the state of Israel, the Empire State Building will shine its world-famous tower lights blue and white on Saturday, June 3. 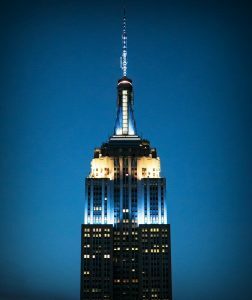 Security will be extensive with thousands of NYPD uniformed and plain clothes officers and members of Israel’s elite security forces patrolling the event. This year, Maimonides Medical Center is the Celebrate Israel Parade’s Official Television Broadcast Partner. The parade is produced in partnership with the UJA-Federation of New York and the State of Israel. For the latest information on the 53 annual Parade, please visit the Parade website at celebrateisraelny.org, follow on Twitter, @celebrateisrael, using #TogetherOnFifth, visit Facebook page, Celebrate Israel Parade and subscribe to YouTube Channel: youtube.com/celebrateisraelny.